Facebook and Twitter are increasingly becoming news sources for its users, but news is not necessarily the reason why people are logging onto these social networking sites. It just so happens that news ends up being part of the social media experience. That’s according to a new report from the Pew Research Center. The findings cement the fact that both users and news organizations must continue to wrestle with social media, its different features and their implications. Graphic courtesy of the Pew Research Center. Sixty-three percent of both Facebook and Twitter users get news on these social networking sites in 2015, compared with 52 percent of Facebook users and 47 percent of Twitter users in 2013. A combination of factors is at play here. Both platforms, for example, are instituting and leveraging ways to become news hubs, such as Facebook’s Instant Articles, which allows users to read news stories on Facebook directly instead of being redirected to another site, and Twitter’s Project Lightning, an editorialized way for anyone, not just Twitter users, to follow events in real time. News organizations themselves are putting more emphasis on social media as a distribution tool and reporting mechanism, and realizing the relationships they must maintain with these tech giants to maintain an audience. People are also using social media in ways that benefit journalism, whether it’s the reporters interacting with audiences directly on these platforms or people sharing news stories and other information online. The result is that news comes to people without them necessarily seeking it. Mitchell calls this experience a “multidimensional flow” of information. It’s much more individualized than many previous pathways to news, whether that be reading a newspaper, watching a local broadcaster on television, or consuming news on one website alone. The latter was a common consumption habit during the first generation of the web, which was largely about taking in news on a specific site. The kinds of stories people might choose to encounter also depends on the information available on the specific platforms and how people interact with them. The Pew report found that Twitter largely remains the go-to resource for breaking news and live commentary, for example. When it comes to political content, Facebook users “are more likely than Twitter users to directly engage with political content on the site through posts, comments and likes,” according to the Pew report. 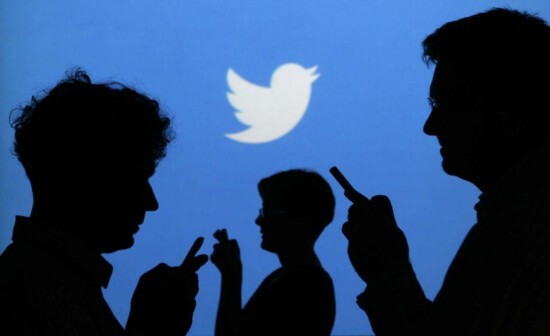 Twitter users, meanwhile, might source political information through specific news organizations, political parties, candidates and reporters. Alex Bowles, a British transplant to New York currently working in New Delhi for an extended period of time, told MediaShift he follows reporters and other individuals engaging with different communities and ideas on social media. He values Twitter and Facebook for the access the platforms give him to conversations he might not ordinarily bear witness to. “I just think that Facebook and Twitter, and in particular, Black Twitter and Black Feminist Twitter, has been really enlightening for me in terms of exposing me to different communities that I honestly otherwise wouldn’t be exposed to,” he said, mentioning one of the topics he follows on social media. News organizations aren’t oblivious to these new kind of beats emerging with Twitter and Facebook. The Los Angeles Times, for example, recently hired a reporter to cover Black Twitter. It’s the first media organization to have a dedicated reporter for the topic. The move perhaps indicates the kinds of conversations and stories news organizations must keep up with on social media to serve audiences who increasingly want more choice in the news they consume. This piece originally published on July 21, 2015, on MediaShift.